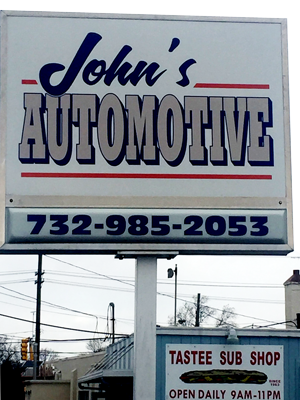 John's Automotive has provided car-owners in Edison and the surrounding areas with all of their auto repair, maintenance, and diagnostic needs for many years. Our quick turnaround time, attention to detail, and ability to work on a wide variety of different makes and models, both new and old, foreign and domestic has earned us a reliable reputation amongst drivers in the Edison area. When it comes to your car our team at Johns Automotive is determined to get your car back to you in its original state in a timely and effective manner. Here at John's Automotive we make your satisfaction our priority. As many of our loyal Edison clients can already attest to, our staff goes the extra mile to make sure all of your needs are being met. Our services don’t stop at technical repairs, we promise to keep you up-to-date on the status of your vehicle to ensure total peace of mind. All information provided is provided for information purposes only and does not constitute a legal contract between John's Automotive and any person or entity unless otherwise specified. Information is subject to change without prior notice. Although every reasonable effort is made to present current and accurate information, LinkNow!™ Media makes no guarantees of any kind.